The future is in the hands of tiny robots, really tiny robots — and the expectation is that they will perform miraculous tasks, such as eye surgery and environmental cleanup. 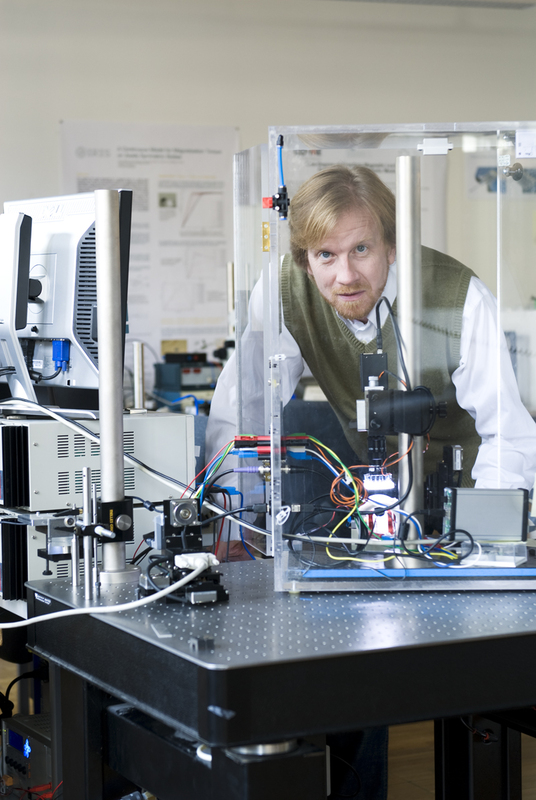 Brad Nelson heads the Institute for Robotics and Intelligent Systems at ETH Zurich, where they focus on creating these nano devices inspired by the biological mechanisms of bacteria such as E. coli and salmonella. Created by Featurezoo (featurezoo.net) for ETH Zurich. Music by Lon Kaiser (cantilevermusic.net/). Brad Nelson is a Professor of Robotics and Intelligent Systems at ETH Zurich – The Swiss Federal Institute of Technology, Zurich. His primary research focus is on microrobotics and nanorobotics emphasizing applications in biology and medicine. He has been the Department Head of Mechanical and Process Engineering at ETH, Chairman of the ETH Electron Microscopy Center, and is a member of the Research Council of the Swiss National Science Foundation. He is also a member of the board of directors for three Swiss companies.